louisiana's rino governor, piyush "bobby" jindal, ever the unashamed, opportunist has used his recent "family vacation" trip to disney world, orlando, florida as a cover-story to attend yet another out-of-state fund raising event. the official [cover] story put out about piyush's orlando trip was that he and family were on vacation because he "rarely gets to spend a lot of time with his three children." however, todays [download .pdf] baton rouge morning advocate piece by michelle millhollon, reveals that ol' piyush the deceiver, in reality will sacrifice his family time; throw his kids under the bus, or even use them as an excuse to get away -- when there is some quick campaign cash to be had. all while refusing to talk to some in the news media. looking at the invitation you can see that this fund raising event was planned well before he left for orlando, as the rsvp date is 20 february 2009.
a whois search of the browningorourke.com domain shows that it is registered through bob parsons shady godaddy.com and it is actually a parked domain on a godaddy.com server located in calgary, canada. 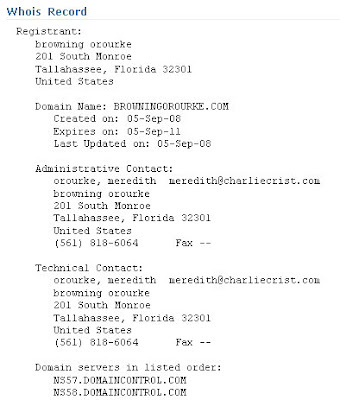 further, the administrative contact for the browningorourke.com domain is listed as one meredith o'rourke of tallahassee, florida, whose given email address is meredith-at-charliecrist.com -- charlie crist is the republican governor of florida who has long been the subject of florida media and blogosphere speculation of secretly being a homosexual or bisexual. our capture of louisiana's rino, governor piyush "bobby" jindal response (if you can call it that) to president barack obama's address to the joint session of congress, is currently at no. 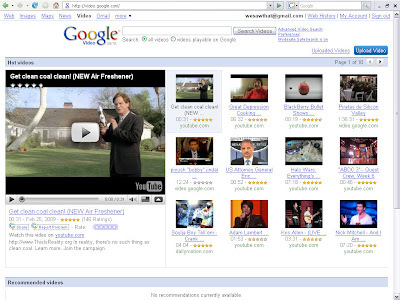 5 of the most watched videos on all of google video. as the below video shows, then presidential candidate barack obama said that "using medical marijuana in the same way and controls as other drugs prescribed by doctors, i think thats entirely appropriate" and "what i'am not going to be doing is using justice department resources to try to circumvent state laws on this issue." however, on the day that attorney general eric holder spent his first full day in office, [he was sworn in on tuesday, 03 february 2009] the drug enforcement administration raided four california medical marijuana dispensaries. on wednesday, 25 february 2009, attorney general holder and drug enforcement agency acting administrator, michele leonhart (a bush holdover) held a news conference to announce the results of "operation xcellerator," a multi-agency law enforcement effort led by the dea targeting the mexican drug trafficking cartel known as the sinaloa cartel. ~ full press conference at c-span or google video here. reporter: "on drugs policy, right after the inauguration there was some raids on california medical marijuana dispenciaries, was that a deliberate decision by you, by the justice department - the prediction of policy going forward, do you expect those sorts of raids to continue..."
reporter: "...despite what the president said during the campaign?" attorney general holder: "well, what the president said during the campaign, you will be surprised to know will be consistent with what we will be doing here in law enforcement. he was my boss during the campaign. he is formally and technically and by law my boss now and so what he said during the campaign will and is now american policy." while we wish that a.g. holder would have went further and said that the obama administration will honor states rights and all state law not just with respect to medical marijuana, we suppose that they have to start somewhere. groundbreaking legislation that would tax and regulate marijuana in a manner similar to alcohol. The Marijuana Control, Regulation, and Education act (AB 390) would create a regulatory structure similar to that used for beer, wine and liquor, permitting taxed sales to adults while barring sales to or possession by those under 21. "I support this legislation because I feel this issue should be the subject of legislative and public debate," said current San Francisco Sheriff Mike Hennessey. Orange County Superior Court Judge (retired) James P. Gray added, "Assemblymember Ammiano is to be applauded in addressing this critical issue honestly and directly." "Marijuana already plays a huge role in the California economy. It’s a revenue opportunity we quite simply can’t afford to ignore any longer," said Stephen Gutwillig, California state director for the Drug Policy Alliance. "It’s time to end the charade of marijuana prohibition, regulate the $14 billion market, and redirect law enforcement resources to more important matters. 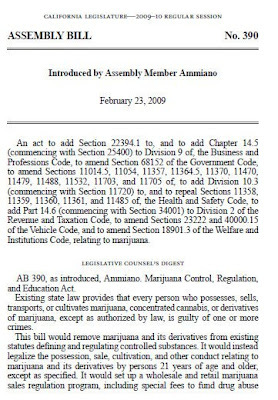 Assemblymember Ammiano has done the state an enormous service by breaking the silence on this commonsense solution." although mr. ford, as usual, writes a thought provoking column for his latest posting to the cenla light blog, it would have been helpful if he instead of vaguely writing "with two new alexandria city council members taking office..." actually named the names of who exactly it is that he is on about. Instead of trying to work together and move this city forward, Mayor Roy and several of the black council members have been at odds with one another about several issues that have led to some verbal exchanges or battles between them during the last few council meetings. In my opinion, it was not Roy who initiated these verbal exchanges, but rather it was the black council members who incited them. 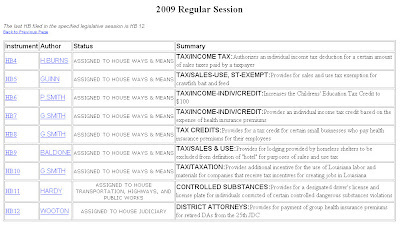 in the 2008 louisiana regular legislative session, the newspaper.com covered state senator joe mcpherson and his successful effort to have his sb799 -- which made it illegal for any state agency to have a plan -- even an informal plan -- that evaluates police officers based on the number of arrests made or citations issued, enacted into law. however, if the part in the report about police agencies issuing tickets outside their respective jurisdictions is accurate, it would seem that a more needful law making that scam a felony would be appropriate. 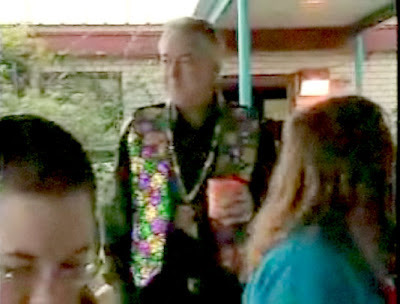 in the 2007 louisiana regular legislative session, state representative billy chandler, offered his hb195 which would have revoked the citizens of pollock, louisiana right to elect their own choice for a police chief and placed it in the hands of the town council. this would of course made it even easier for the criminal network to operate pollock as a speed trap since the police chief would only answer to the council instead of the citizenry. thankfully, hb195 never became law, it was involuntarily deferred by the house municipal parochial committee. In a unanimous decision, the Supreme Court of the United States today issued a landmark First Amendment ruling clearing the way for governments to accept permanent monuments of their choosing in public parks. 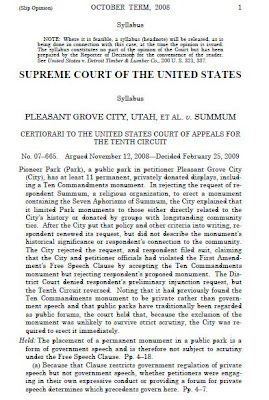 The decision comes in the case of Pleasant Grove City v. Summum, a critical First Amendment case in which the American Center for Law and Justice (ACLJ) represented the Utah city in a challenge to a display of the Ten Commandments in a city park. This decision represents a resounding victory for government speech. The decision gives government the right to speak for itself and the ability to communicate on behalf of its citizens. It's a significant decision that clears the way for government to express its views and its history through the selection of monuments - including religious monuments and displays. This decision also puts a bookend on the litigation surrounding the display of the Ten Commandments that's been taking place for years across the country. The critical question before the Court was, ''Can a city decide which permanent, unattended monuments, if any, to install on city property?'' Without dissent, the Court said ''Yes.'' We're delighted that the Court upheld the important distinction between government speech and private speech. The ACLJ asked the high court to overturn a decision by the U.S. Court of Appeals for the Tenth Circuit that ordered Pleasant Grove City, UT, to accept and display a monument from a self-described church called Summum because the city displays a Ten Commandments monument donated by the Fraternal Order of Eagles. truth-teller c.b. forgotston: piyush "bobby" jindal shameless self promoter; poor governor...piyush: hey, i'am not jesus! an associated press news article by matthew lee, "clinton urges china to keep buying treasury bonds," recounts sec'y of state hillary clinton's recent visit to red china. the purpose of sec'y clinton's meeting with the red chinese was to beg them to continue to finance united states debt. sec'y clinton's new policy doesnt seem to jibe with her 27 august 2008, speech to the democratic convention where she appeared to criticize the bush regime's borrowing from the chinese. she stated: "the biggest deficit in our nations history, money borrowed from the chinese to buy oil from the saudis." of course that was then and this is now. 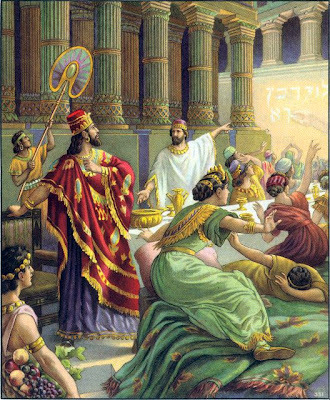 the bible says that the borrower is servant to the lender. you dont even have to be religious to understand this concept. what the american government has done is that they have made us all slaves to the chinese. 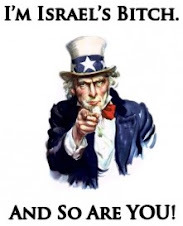 its not a matter of if but when (probably when the debt exceeds the value of every tract of land in america together with the buildings and improvements thereon) the united states defaults on its debt -- then the chinese will own america outright. this is one reason why there really is no such thing as a constitution or bill of rights anymore. they have been replaced with a promissory note and a mortgage. to paraphrase t.s. eliot, this is how america was conquered -- not with the bang of guns, bombs and a foreign troop occupation but through the whimper of finances and economics. gerald celente: 2009 crash "worse than the great depression"
heres a screen grab from off of kalb.com weekend news bites for saturday 21 february 2009, which shows la-05 congressman rodney alexander all duded up about like a san francisco homosexual at the alexandria, la. zoo's annual king cake party. you might recall that congressman alexander voted for H.R. 1424 the massive wall street fraud bail-out bill, which, as predicted, has proven to be disastrous. the very next day after congressman alexander voted for H.R. 1424, fifth congressional rethugs rewarded him for his helping to further loot the treasury and bankrupt the united states by reelecting him with a 90% margin. Six former Rhodes Scholars (educated at Oxford University in Britain) and four others associated with the London School of Economics are serving in key posts in the Obama administration. That's not good. Susan Rice - ambassador to the UN; Michael McFaul - head of the Russian desk at the National Security Council; Elena Kagan - solicitor general of the United States; Anne-Marie Slaughter - State Department policy planning staff; Neal S.Wolin - deputy counsel to the president for economic policy; Ezekial Emanuel - senior counselor at the White House Office of Management and Budget on health care policy; Lawrence Summers - head of the National Economic Council; Peter Orszag - director of the Office of Management and Budget; Peter Rouse - senior advisor to the president; Mona Sutphen - deputy chief of the White House staff. The Rhodes Scholarships-awarded to Americans and students from other former British colonies-are funded by a trust set up by 19th Century British imperial figure Cecil Rhodes, whose intent was to indoctrinate these scholars with the theme that the American colonies should be reunited with the British Empire and that they should work through "public service" to achieve that goal. But Rhodes wasn't just some rich madcap dreamer. His ventures were underwritten by the international Rothschild dynasty operating from the financial district in London known as "The City"-the banking center of the Rothschild controlled British empire that also includes the London School of Economics. And another Rhodes Scholar, Louisiana Gov. 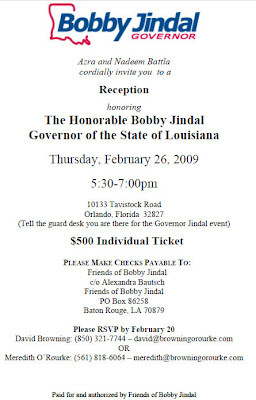 [piyush] Bobby Jindal, is widely touted as the great Grand Old Party candidate to "take back the White House" in 2012. Jindal doesn't offer "change." He-like the other globalists in the Obama administration-is part of the problem. in what could be considered a bold political move, (but not such a good move for transparency or honesty) city of alexandria, mayor jacques roy, announced at the end of his administrative briefing today, his intent to turn over his $96 million sparc program to clifford moeller and gaeda. mayor roy also announced that the new name of sparc will be sparc / stimulus measures. this is at least the third name change that it has undergone since it was originally announced. the silk stocking gang to take over sparc: some gaeda board members: roy o. martin, iii, st. francis cabrini ceo, stephen wright, martin masden and legal counsel greg upton with the notorious gold, weems, bruser, sues and rundell law firm. what the alexandria mayor wants to do is set up this "corporation" under La. R.S. 33:9034. we can just imagine how this "corporation's" board of directors would look. so if you dont want to see the same old gang of people like roy o. martin, charlie weems, wayne denley, billy barron, martin johnson, buddy tudor and bridgett brown running the "economic engine" of this "region" and them and their cronies reaping all the benefits from it -- then you need to be against the sparc. UPDATE: the budweiser clydesdales were in the 2009 alexandria, louisiana mardi gras parade held sunday, 22 february 2009. see the third video in the above playlist or click here for direct link. The full-grown Clydesdale should stand 18 hands (about 6 feet/1.2 meter) at the shoulder and weigh between 2,000 [907 kg] and 2,300 [1,043 kg] pounds. The ideal horse is bay in color, has a blaze of white on its face, a black mane and black tail. Most important, the Clydesdale will have white feathering on all four legs and feet. 29 January 2009: Anti-Zionist Orthodox Jews demonstrated outside the Marriot Hotel in Times Square, New York City, where members of AIPAC were holding a fund-raising dinner. The recent Zionist atrocities in Gaza have triggered outrage, protests and demonstrations in New York, Boston, Washington, London, Toronto, Montreal and the Holy Land. Visit our website at www.nkusa.org to view images, video and audio of protest and demonstrations around the world. 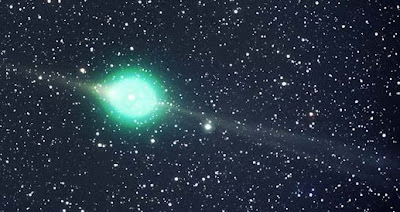 WASHINGTON (Feb. 18) - An odd, greenish backward-flying comet is zipping by Earth this month, as it takes its only trip toward the sun from the farthest edges of the solar system. The comet is called Lulin, and there's a chance it can be seen with the naked eye — far from city lights, astronomers say. But you'll most likely need a telescope, or at least binoculars, to spot it. The profound fears of royalty at the appearance of the comet continued well into the present era. The third century Christian theologian Origen cites the comet as heralding a change in dynasties. It was a common "belief that the comet of AD 336 had announced the death of the great emperor Constantine." In connection with the assassination of Julius Caesar, it was said, a comet had appeared in the sky. On learning of a comet Nero was seized with fear, and chroniclers assure us that a comet preceded the death of the Emperor Macrinus in A.D. 218, and of Attila in A.D. 451. It's a new restaurant in Pineville, on Highway 107 just out of town. I got off work today at a reasonable hour and Milady and I decided to try it on. Most of Pineville is dry, but Hobo's has sandwiched itself into the one semi-wet ward on this side of the river. They serve beer in frosted mugs and wine by the glass, and that's okay for a sit-down restaurant. Civilized. Louisiana Congressman "Joseph" Cao can rest easy. The LA Recall Law does not apply to Congressmen. Article X, Section 26 of the Louisiana Constitution authorizes the lege to provide for the recall of only state and local officials except for judges of court of record. The statutes setting up the LA recall process adheres to the constitutional authority. See LA R.S. 18:1300.1.
it seems that a group of, um, black "ministers" are a little upset over congressman, anh cao's nay votes on H.R.1 american recovery and reinvestment act of 2009; namely, his nay on house roll call vote #70.
this recall effort isnt surprising and we've never regarded congressman cao's "election" to be legitimate. to us it was just evidence that the criminals behind the electronic voting machine fraud got a little carried away with themselves. like we're supposed to believe that a majority black, democratic district in new orleans of all places, voted in a vietnamese, rethuglican in place of a black democrat? and yeah, yeah, we know that bill jefferson is under indictment but thats beside the point -- this is louisiana after all. actually, no election in louisiana (or anywhere else) should be considered legitimate as long as it was carried out on electronic voting machines. so while we wish the "minister's" best of luck, we think that this recall effort nonsense is a waste of time. instead, what they should be doing, is calling for an investigation into the december election while strenuously demanding the removal of electronic voting machines from their district and the entire state. H.R. 45 is a sweeping firearms control bill by illinois congressman, bobby rush. congressman rush, is the congress criminal, who always reminds us of grady wilson from off the old sanford and son television program but not even shady grady would offer such a dastardly bill. 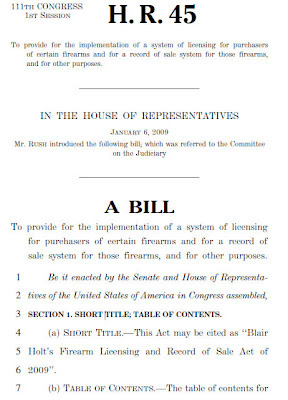 This is the Blair Holt's Firearm Licensing & Record of Sale Act of 2009. To find out about this - go to any government website and type in HR 45 or Google HR 45 Blair Holt's Firearm Licensing & Record of Sales Act of 2009. You will get all the information. * Each update - change or ownership through private or public sale must be reported and costs $25 - Failure to do so you automatically lose the right to own a firearm and are subject up to a year in jail. * There is a child provision clause on page 16 section 305 stating a child-access provision. Gun must be locked and inaccessible to any child under 18. If you think this is a joke - go to the website and take your pick of many options to read this. It is long and lengthy. But, more and more people are becoming aware of this. Pass the word along. Any hunters in your family - pass this along. Peter Boyles is on this and having guests. Listen to him on KHOW 630 a.m. in the morning. He suggests the best way to fight this is to tell all your friends about it and "spring into action". Also he suggests we all join a pro-gun group like the Colorado Rifle Association, hunting associations, gun clubs and especially the Gun Owners of America. Don't underestimate the significance of his remark! Congressman Kanjorski, a member of the House Financial Services Subcommittee, released some information that everybody else was keeping secret; namely, that a group of people were trying to cause worldwide economic chaos. However, their attack failed because people in the banking system and the Bush administration stopped it. Which day was the economic attack? Kanjorski describes the attack occurring on Thursday at 11 AM in the morning, but which Thursday? now heres something you dont see everyday. early this morning we noticed a couple of cattle egrets around the neighborhood. we're sure that all the cattle are pleased to see the return of their spring and summer time tick and fly removal pals. 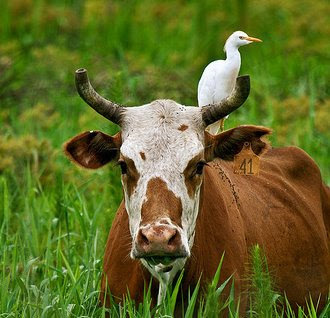 growing up we had always heard them referred to as cow birds. once when we were in the navy our ship was doing ops down in the caribbean and one clear day we were on watch up in the pilot house, when one flew in from out of nowhere and lit on the foc'sle. we did a double take and in astonishment blurted out to no one in particular and mostly to ourselves "look, thats a cow bird, whats a cow bird doing out here?" the old man turned around and replied with a grin "boats...thats a cattle egret." so we learned something new that day. UPDATE: 16 march 2012 video of a cattle egret wading in water. "mr. speaker, i pray that god will help america after congress has passed such an expensive, expansionary and socialist legislation today." ~ congressman john fleming, (r) louisiana. david bissonette, emergency coordinator, clarence center, new york and steve chealander a national transportation safety board member, conduct the first press conference about the 12 february 2009 crash of continental connection flight 3407 at clarence center, new york. MANASSAS, VA, Feb 13, 2009 (MARKET WIRE via COMTEX) -- Continental Connection flight number 3407, operated by Colgan Air, was involved in an accident at about 10:20 p.m. Eastern time today while the aircraft, a Bombardier Dash 8 Q400, was operating between Newark Liberty International Airport and Buffalo Niagara International Airport. Colgan Air is in the process of collecting information and will schedule a preliminary news briefing to be held in Buffalo. Information concerning the time and location of the briefing will be distributed to the news media as soon as it is available. on tuesday 10 february 2009, around 500 miles [805 km] above siberia, a satellite owned by american satellite phone company, iridium satellite llc [press release on crash .pdf], collided with a non-functional russian military satellite. each satellite weighed more than a thousand pounds [454 kg] and was traveling at 20,000 mph [32,186 kph] which is 6 miles [10 km] a second. charles vick with globalsecurity.org says that the collision "would have created thousands of pieces of debris, that would have scattered in many different directions." the debris poses an "elevated risk" to the international space station which carries two americans and a russian. according to a u.s. military official who cnn didnt identify: "a piece of debris the size of a paint chip could significantly damage a space shuttle because of the speeds involved." it's that time of the year again...so get ready for more loss of rights and freedoms, higher taxes disguised as "fees" and more stupid; unneeded and unwanted laws, rules and regulations, as well as the usual legislative hijinx and hyperbole.